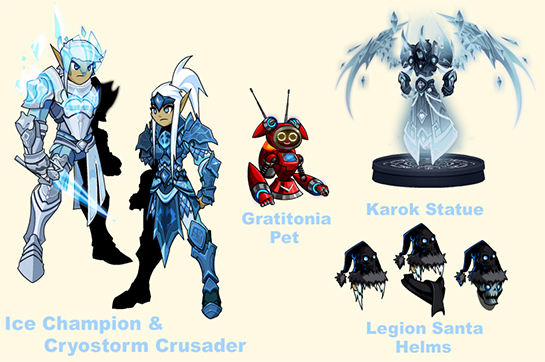 The Frostval 2015 War is Over... and the BOSS BATTLE is Unlocked! ... You'll also discover a TON of teasers and new information about the former Champions of Ice, plus where the NEXT Queen of Monsters Saga will take place! 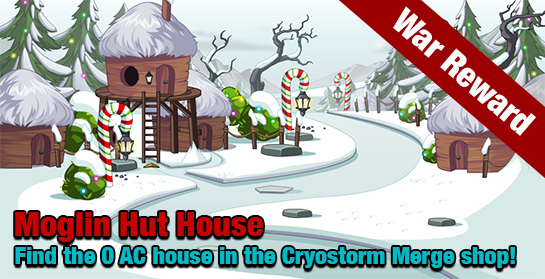 The war challenge was beat on Tuesday, so tonight you can find the 3-room Moglin Hut house from Bido in the Cryostorm Merge Shop for 0 ACs! There's also a ton of new house items and other rewards both in the merge shop and dropping from Karok! Not to mention the REST of the new gear in the merge shop! The Queen of Monsters is ALWAYS watching. And she does NOT fear the cold... OR the Frostspawn.